* Christmas morning with the kiddos. * Liverpool winning the Merseyside derby. * getting Sky Q installed. * getting two and half weeks off work. 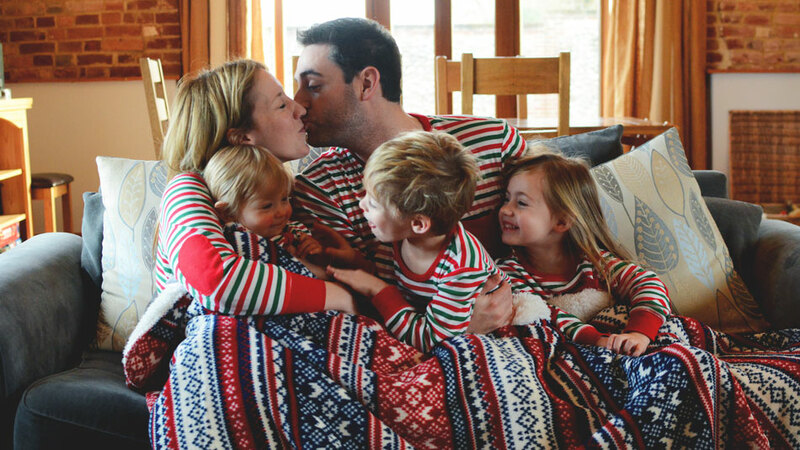 * a magical Christmas with her little tribe. * doing vlogmas over on YouTube, so proud to have daily vlogged our Christmas build up. * new Cath Kidston mugs. * two fab nights out for Christmas parties. * Baileys and a Ferrero Rocher in her jimjams in the evenings. * singing Christmas songs at school. * kissing girls at birthday parties. * playing Super Mario Run. * going to the cinema and eating (not sharing) his popcorn. * looking at maps and talking about capital cities. * being the Innkeepers Wife in the nativity. * watching the Cinderella movie. * trying to pull decorations off the tree. * playing with her stacking rings. * eating grapes and treeslets with every meal. * chasing her big brother and sister in and out of the new teepee. That moment when you get to speak to Father Christmas, to tell him you've been good, and let him know some things that you might like on Christmas Day... it's such an iconic moment in the run up to Christmas, isn't it? And if you've been following our YouTube channel, you'll have already seen, that we had a very special meeting with the man in red, when we went to tea with him a couple of weeks back. 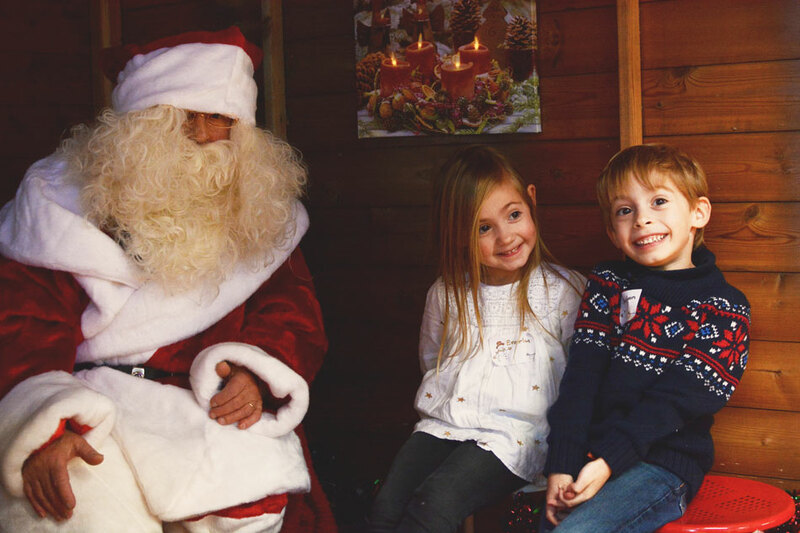 We were invited to Wyevale Garden Centres to test out their Tea with Father Christmas experience, and it impressed us no end. 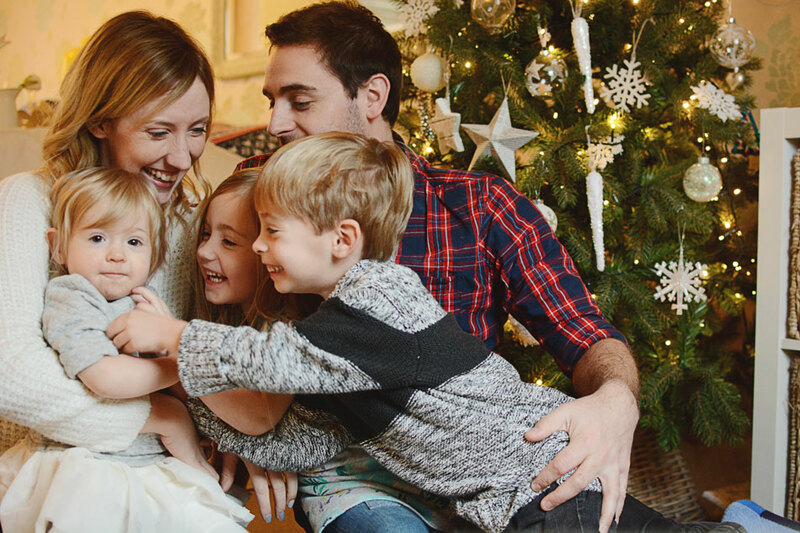 From being met by an elf and shown to a specially decorated table complete with place names and crackers, to sitting on the rug and using jingle bells to call on Father Christmas, then decorating gingerbread men before meeting the man himself. We booked our food when the booking was made, so everything was practically ready on our arrival. With hot dinners for the kids, and a lighter festive afternoon tea for Rich and I (with the yummiest Christmas scones I've ever had! ); it definitely made the whole thing more like an event than it would have been if we'd simply queued up somewhere to meet him in a grotto. The whole thing was just the kind of magical, sparkly experience you'd want it to be. The children loved their chat with the big guy, and it was lovely to feel in no way rushed. It felt like Father Christmas had lots of time to chat, he asked them lots of questions and had little jokes with them which the children loved. I feel like video always tells the story of an experience like this, far better than photos alone, so you can see for yourself in this video what a lovely time we had... I definitely think we'll be back next year. And in case you've missed it, we've been daily vlogging our way through December, so do pop over to our YouTube channel to see what we've been up to. Something has really clicked with these three over the past month. That's not to say that they didn't click together before, but something subtle has changed and they seem so much of a team now. I think the developments in Quinny's communication are a major factor; she still hardly says anything, but my goodness does that girl know how to make her feelings known. 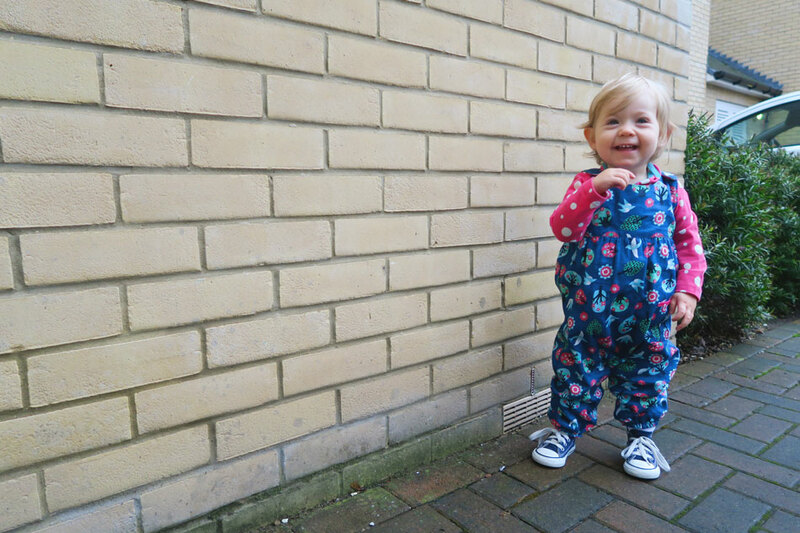 She giggles so freely, she leans in spontaneously for kisses and cuddles, she will join in with chase games, and enjoys mimicking. All those things which are the beginnings of play, and the beginnings of friendship. We love a mini break. 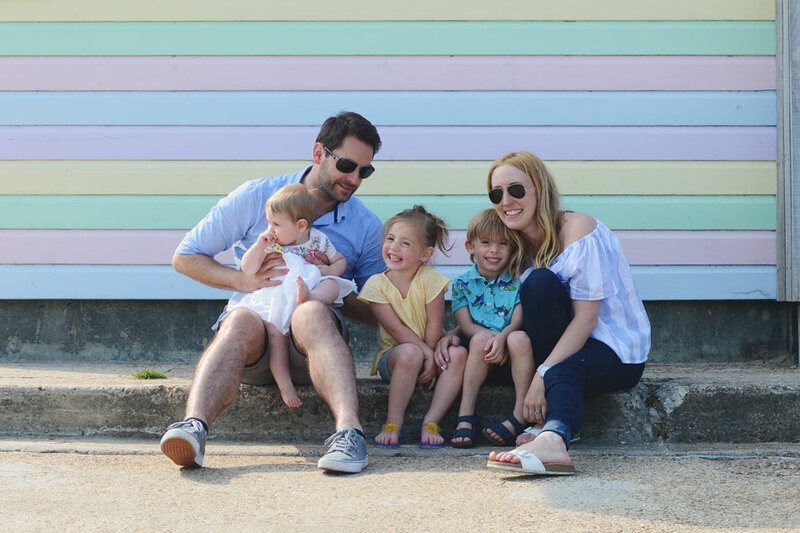 There is something about the simplicity of a short break, something which doesn't require a ton of planning, but which gets you away from the grind of being at home. 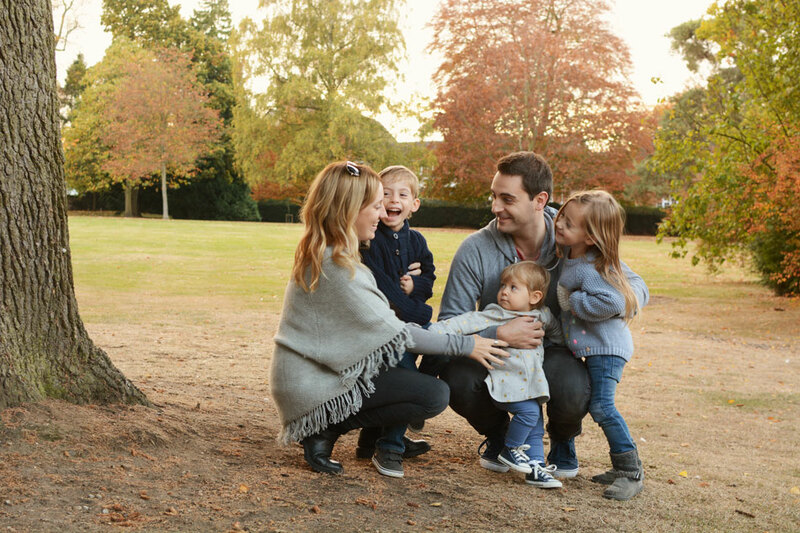 We really enjoy weekends away as a family somewhere lovely, where we can be just as happy relaxing together as going out to explore. Somewhere that holds all the creature comforts of home, without all the chores that home holds. 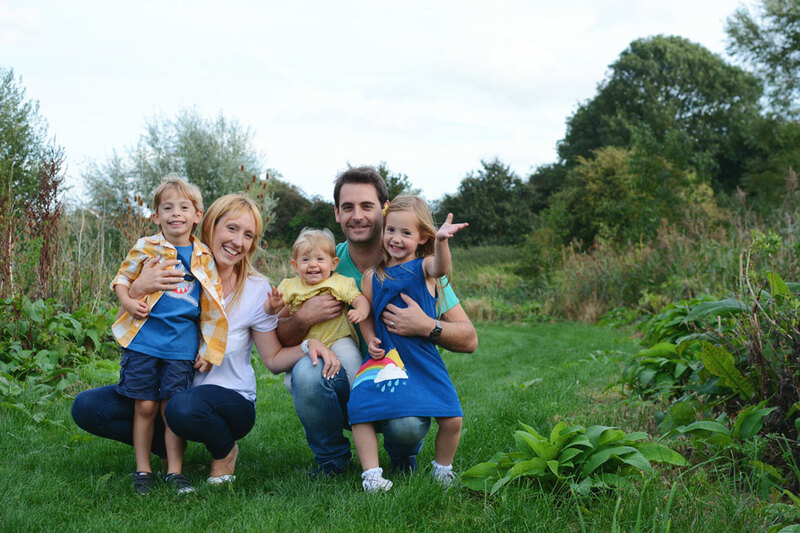 We've fallen pretty hard for Frugi since we became part of the Frugi Family this year. 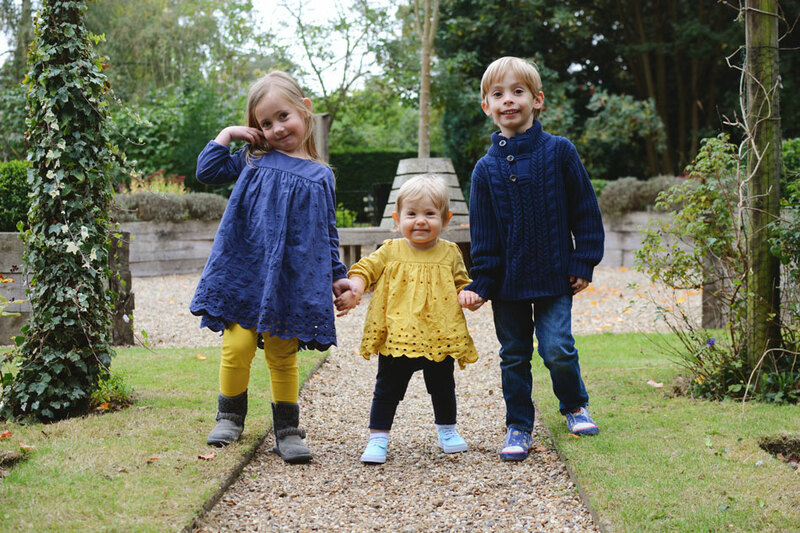 I just love their bright colours, bold designs, organic ethics, and the fact that they make clothes that children love, and that feel really fun and playful. They kindly sent us this little outfit for Ashlyn as an early Christmas gift, and she looks so cute in it. 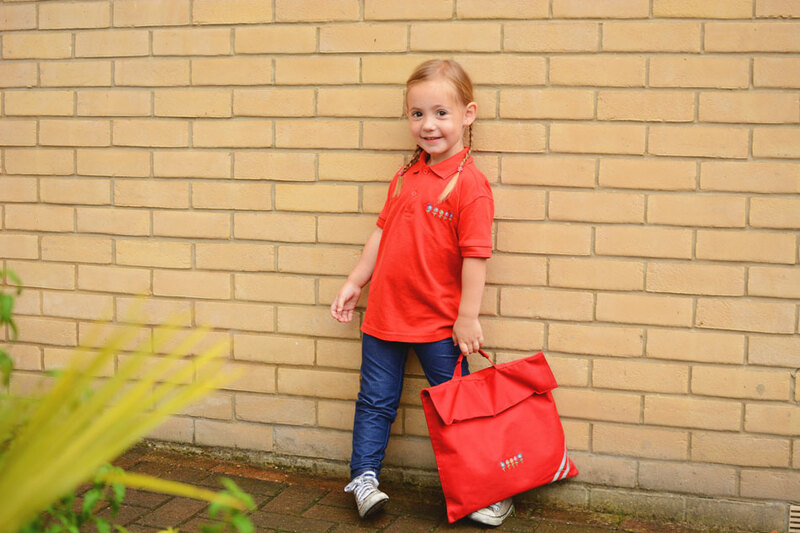 My children may well have more Frugi lurking under the tree on Christmas morning... I really do Frugi that much. * the barn we stayed in in Norfolk. * having fun at Weald Country Park. * watching England v. Scotland at Wembley. * selling our home in 5 days. 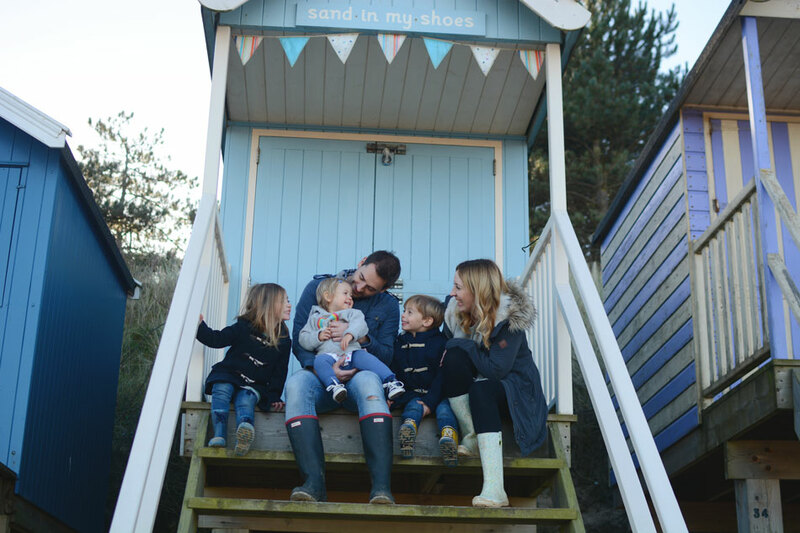 * our amazing weekend away in Norfolk. * being organised with her Happy Planner. * seeing friends at Blogfest. * being chosen to be a school councillor. * taking his first dance exam. * studying maps, atlases and globes. 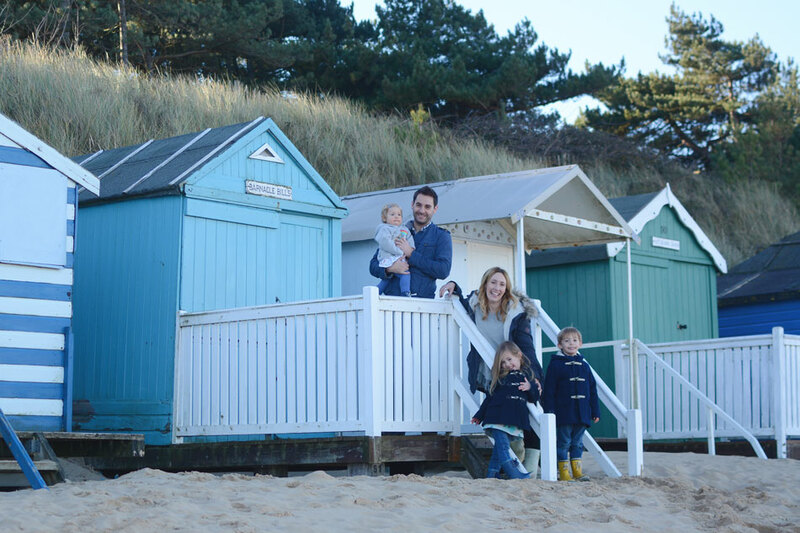 * beach hut hunting with Mummy. * fireworks night at school. * visiting the Stick Man Trail. * staying in our holiday house. * talking about what she's going to ask Father Christmas for. * practising her christmas songs. * walking everywhere, and attempting to run. * splashing at bath time. 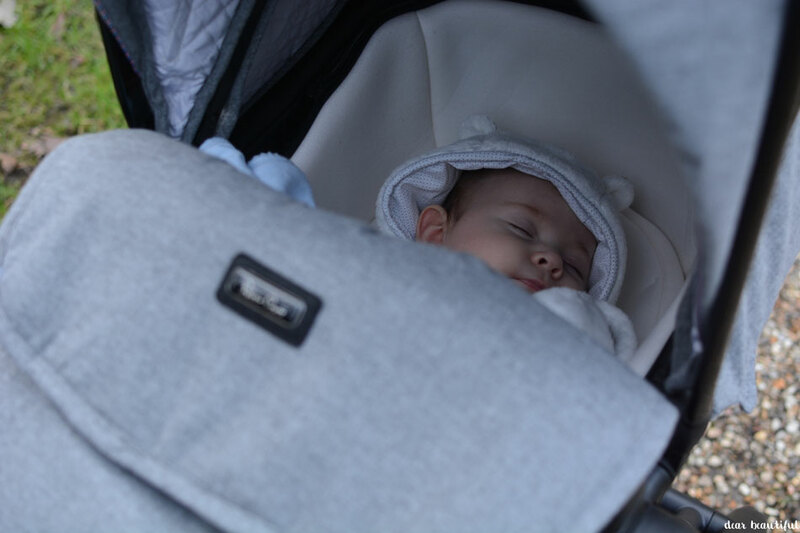 * riding around (and snoozing) in her new Cosatto Wow. * eating whatever anyone else is eating. If you've seen my instagram feed lately, then these amazing jimjams won't be new to you. 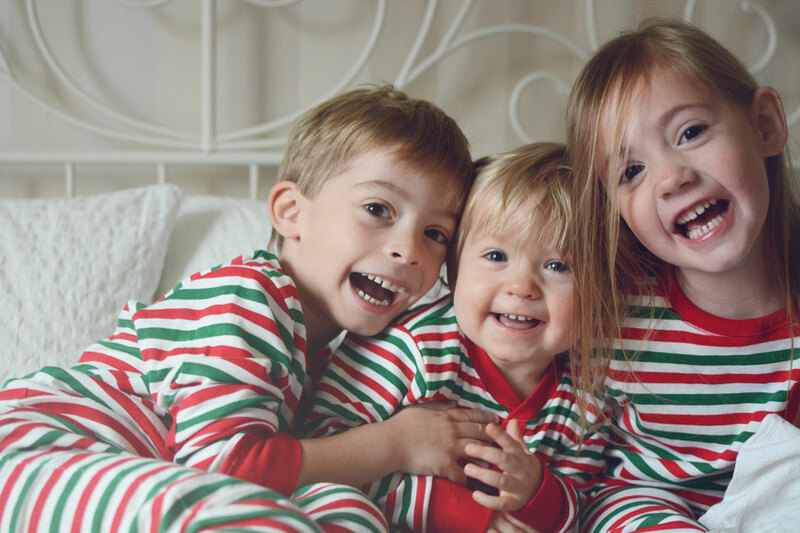 You'll already know that we've been proudly working with Matalan and Alderney Children's Hospital on their festive collaboration, which this year is #GetYourStripes. I think it probably says it all really, that every time I post a snap including these stripey gems, I get several people commenting on the fact that they tried to buy some too but found they'd sold out. These babies have been very popular it would seem. And what's not to love; amazing design, amazing price, to help an amazing cause. And matching.... how have I got so far into this post and I'm only just saying the word matching? As a general rule I don't dress my children matching; coordinated maybe, but not matching. They have different personalities, and I feel like they should get to reflect that in what they wear. But Christmas means that normal rules don't apply. 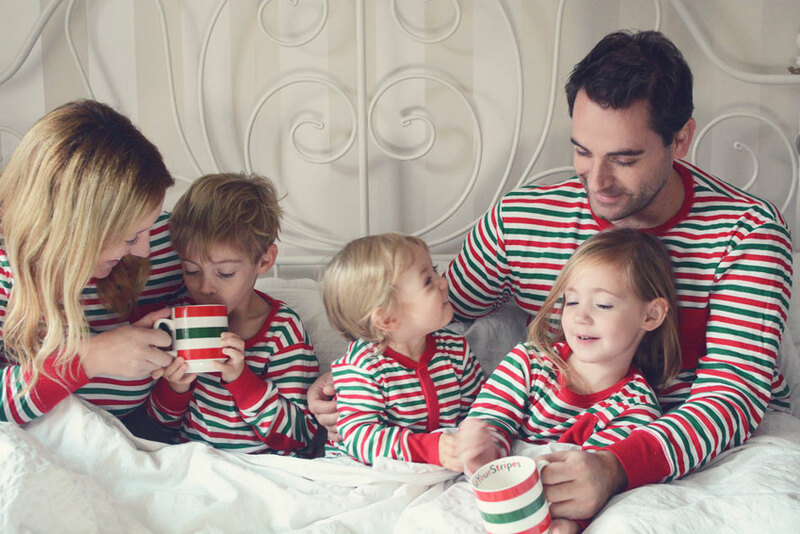 It is one time of year where I really allow myself to indulge in the cheesier side of life, and if that means dressing my children in the odd matching outfit for the sake of a lot of "awwwwwww"ing and some cute snaps for the memory bank, then so be it. 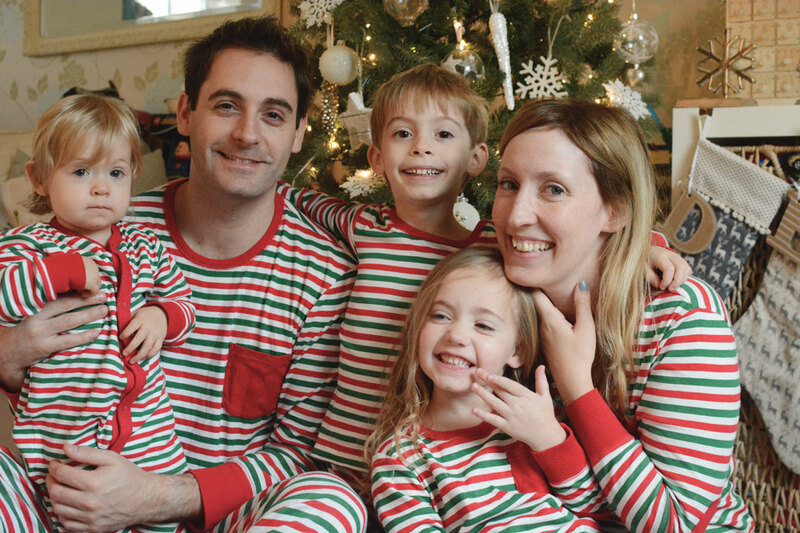 And the fab thing about #GetYourStripes is you don't have to stop at your children, because they have them in adult sizes too (and in dog sizes if you have a fluffy family member who wants to join the fun). 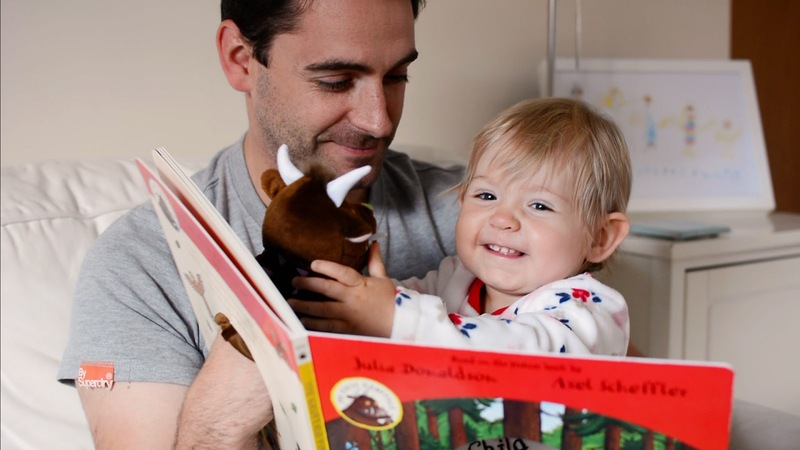 The Gruffalo and The Gruffalo’s Child are long time favourites in this house. When I first started reading Dylan a bedtime story it was those two books that I started with, and for the longest time they were the only two books that he would accept as his bedtime book. Rich and I can both perform the entire books by heart; and I say perform because voices are a complete must. There is just something about those two stories and their simple twists on what you’d normally expect from a good versus bad story, that just inspires children and captures their imaginations - and those of their parents too. 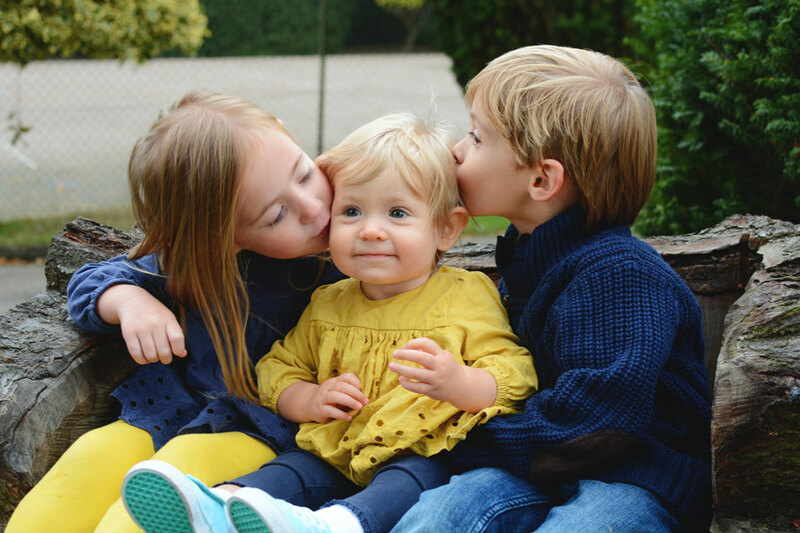 It feels like lately, every month I sit down to write a little update on this trio, I talk about how the gap between the older two and their baby sister is getting smaller all the time. And this month is no different! 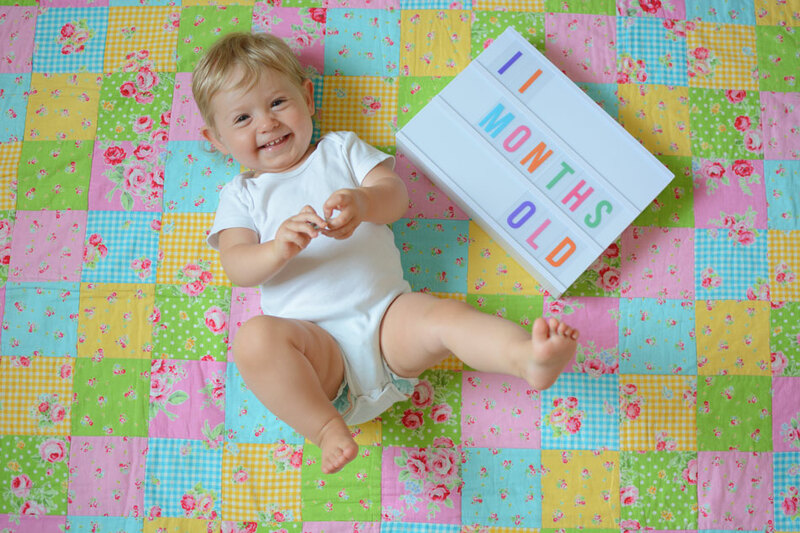 This month has seen Quinn go from those fledgling first wobbly steps, to walking more and more, further and further, longer and longer. Dylan and Everly love her walking; they still comment with excitement each and every time they see it as if it's the first time. 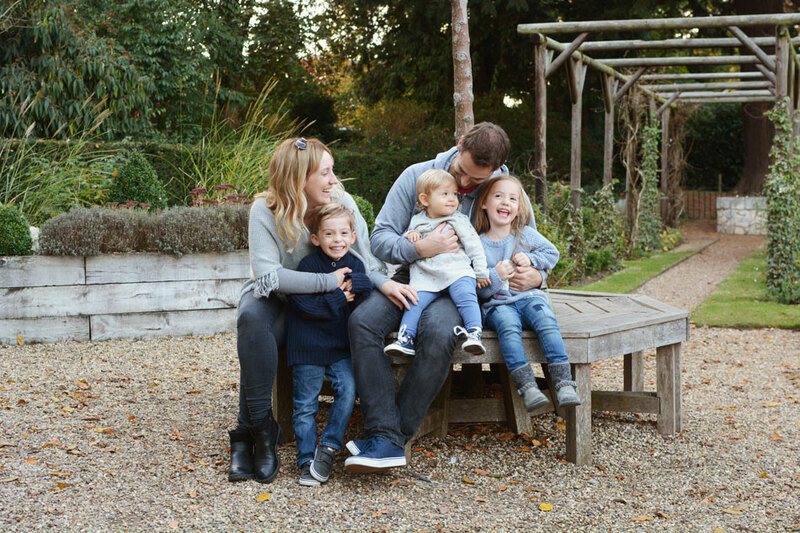 Not surprisingly Quinny will happily play up to her delighted audience with big smiles and giggles. And her relationship with her older siblings is becoming increasingly playful; she loves nothing better than a splashing contest at bathtime with her sister, and enjoys some ridiculously loud roaring competitions with her big bro. * going out on a lunch date on my birthday. * Ashlyn's first birthday party. * a week off with the family. * the return of The Walking Dead. 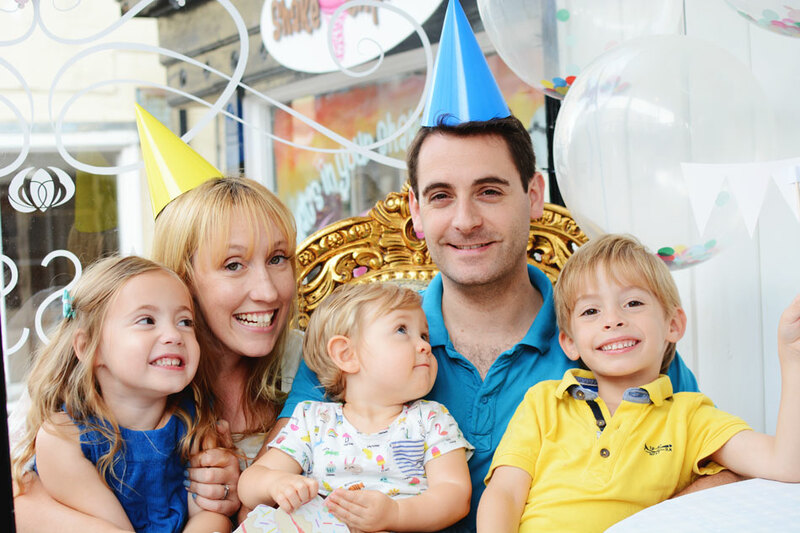 * a gorgeous tea party to celebrate our little Quinn turning one. * half term at home together. * getting the ball rolling with our house move. * making "scale models" of the solar system with toys and play dough. * watching magic tricks on YouTube. * playing Fifa 17 with Daddy. * going on a first school trip to a museum. * that October means lots of cake. * going to see the Shopkins movie. * dancing to Hurts by Emilie Sande whenever its on the radio. * taking her socks off. Well I can't believe it my little Quinny girl... where did that year fly off too? And now you are whole year old. It really does seem like yesterday that I sat down to write you a letter at the end of your first month; I spent ages flicking through all your photos picking out my favourites, trying to put into words how much you amazing you were. And now here I am, eleven months later... I'm still not sure I've quite managed to put your amazingness into words, and every month you seem to get better. Looking at these photos just really highlights for me what a difference a year makes. 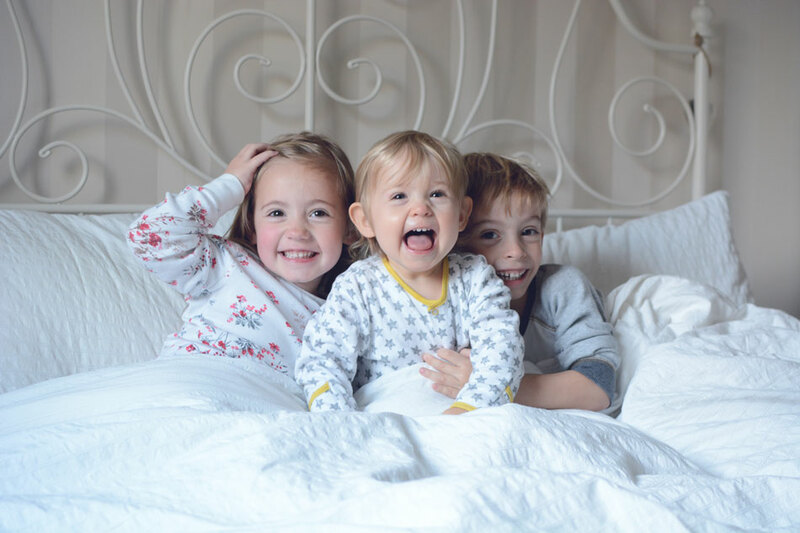 This time last year I was sharing the first photos of this little trio; Dylan and Everly were giddy about having a baby sister, and Quinny still had that newborn puffiness about her, and was wrapped up snug and teeny in a swaddle. In truth, Dylan and Everly are still pretty giddy about having a baby sister, but just look at how far they've all come. Dylan totally knocks it out of the park when it comes to being the big brother. He loves both his little sisters so dearly, but so differently too. With Everly its a best friend thing; he seeks her out to share things with, they cause chaos, noise, and copious laughter in equal measures. With Ashlyn he is so protective and proud; he still tells anyone he meets that she is his baby sister, and no one cheers her achievements quite as much as he does. The girls are so lucky to have him in their corner. Everly manages to flit between the roles of younger sibling and older sibling with such balance and grace. She challenges Dylan by pushing his buttons and his boundaries, in fact no one can annoy him quite like she can, but at the same time she totally idolises him and just wants to be like him. 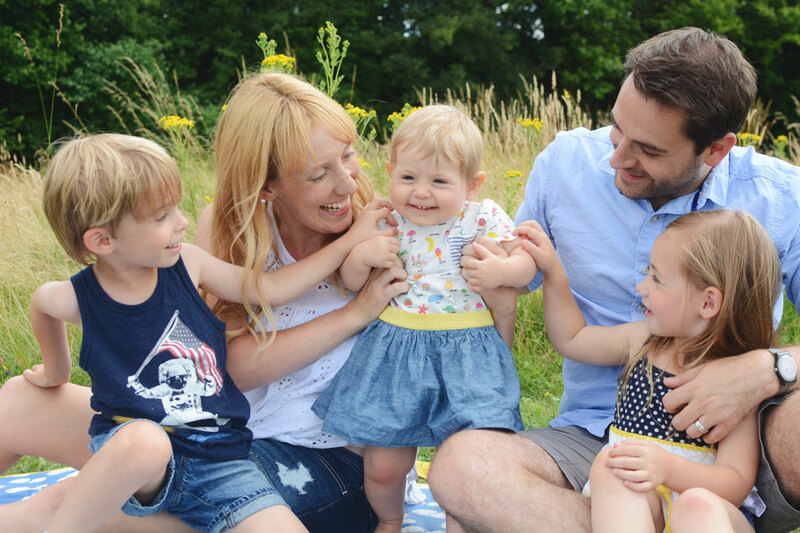 With Quinn though, she's the ultimate mini mummy; trying to include her sister in all games and absolutely smothering her with kisses and cuddles at every opportunity. And Ashlyn... well she certainly loves being on the receiving end of everyone's love and attention, most of the time anyway. Although it's funny to see as her personality comes out more and more, how effectively she manages to make her feelings known even though she doesn't speak yet. Cuddles that last a bit too long are met with a screech, and siblings that come too close or take things away are at serious risk of a whack round the head. But she'll follow them from room to room just watching as they play, and I can tell she's desperate for the day that she can join in a little more - as are they. The way her face lights up for them, and they for her, it still doesn't fail to make my heart swell. It all just makes me really excited to see what the coming months and years will bring. 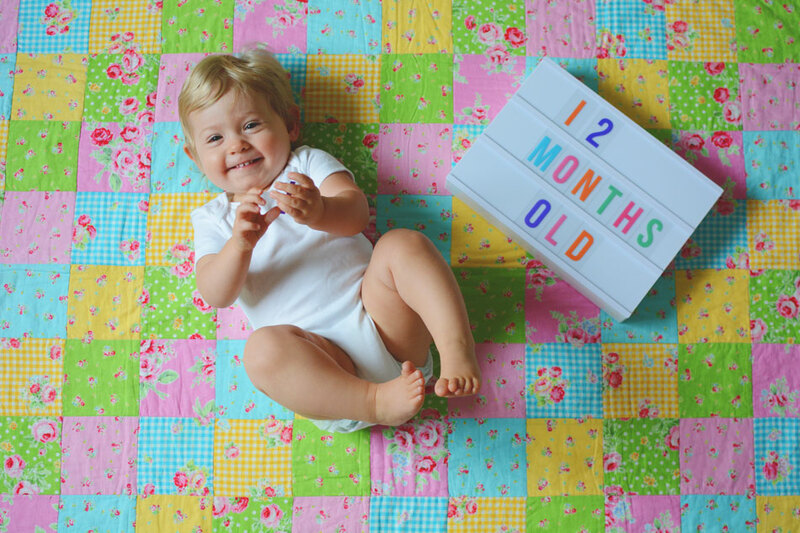 The dynamics seem to change slightly with each passing month as Quinny becomes more and more communicative, and more and more interested in play. I feel like the moment when she starts to walk (which seems to be looming on the horizon) will be quite the turning point too. And for now, she has two very keen and willing walking helpers... how they'll feel when she starts chasing them remains to be seen. I have to say it's been fascinating over the past year to watch the bonds between them change. To begin with it was very much 'the big two and then the baby', but over twelve months I've watched the three of become a unit of their own. 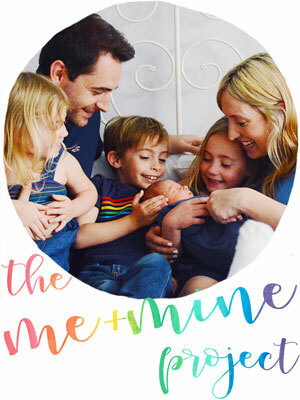 A team that is united in noisy bath times, in giggling tickle parties before bed, and in bouncing on sofas when they shouldn't. And of course I've seen their individual relationships change too. Dylan and Everly have been brought closer by having a younger sister; it makes them 'the big ones together'. It has been adorable to watch Dylan totally melt over Quinn, as I did worry he would be left out of bonding somehow by being at school and being that bit older. Those worries really were needless; my biggest and littlest adore one another, and seem to be so alike in a lot of ways. And of course I've watched my girls forge a totally new relationship; sisters. I feel like going forward this one will be the one to give me the most headaches, as both girls appear to be pretty strong willed but are so different. But I also know their relationship will give me (and them) a lot of joy too, and I love to think of the things they will share as sisters as they go through life. Oh baby girl, how is it possible that you are one? It feels like you were only just born. And then at the same time it feels like I've always known you, like you've always been a part of our family. You honestly have been the perfect addition to our little gang, and you've made the transition from a four to a five far smoother than any of us expected it to be. You are just such a total delight. 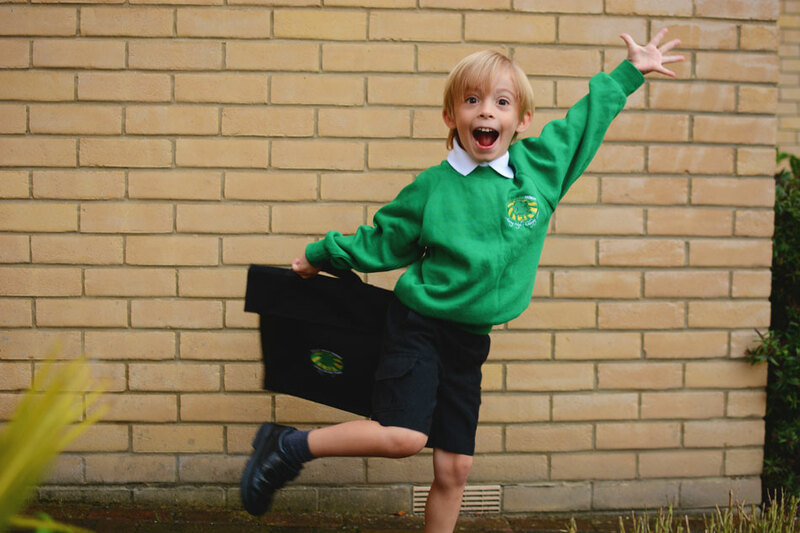 From that very first day you have been the happiest, most chilled out, contented little person. People meet you and fall in love with you. There is just something so cute and irresistible about your smile and that twinkle in your eye. I'm just so beyond proud of you and the little ray of sunshine that you are. Every parent will talk about how fast the time flies, especially that first year, and I'd be lying if I didn't say that it's bittersweet that we got here so quickly. It feels like in the time it took to breathe a year passed. But you've come so far in that time; from the curled up little baby with the downy brown hair, to the blonde-haired, blue-eyed, bundle of giggles you are now. It's been an amazing year. A beautiful year of learning, and growth, of getting to know one another, and of so many smiles and so much love. I can't wait to see what the years to come will bring, and to see you grow into a little girl with each passing day. 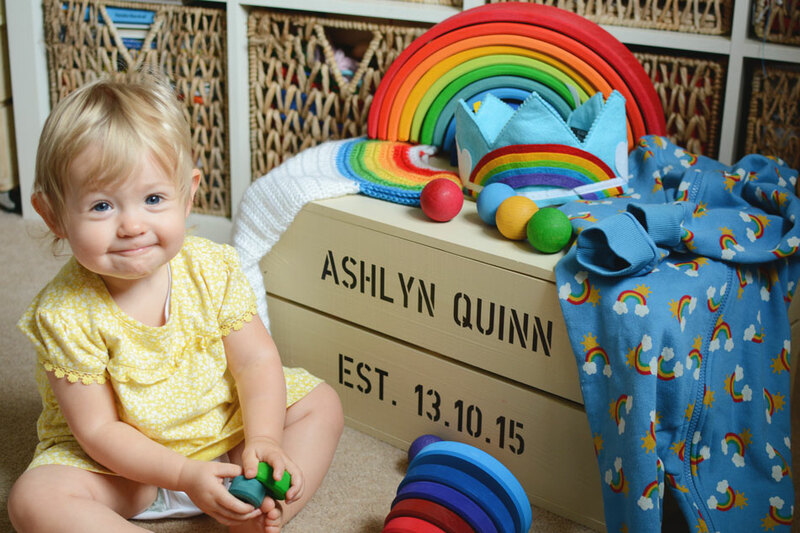 Happy first birthday Quinny Quinn. We love you so very very much. * watching Narcos on Netflix. * going to Cadbury World. 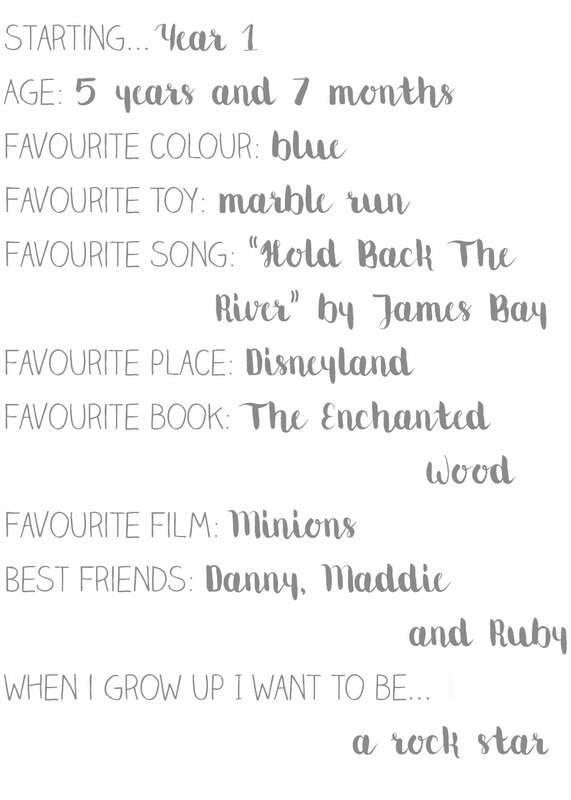 * Evie G turning 4. * Ben and Jerry's Empower Mint. * a perfect last summer's day on the beach. * a fun night out for the Mad Blog Awards. * seeing Bridget Jones' Baby with her fave ladies. * getting through the nerves and speaking at Blog On. 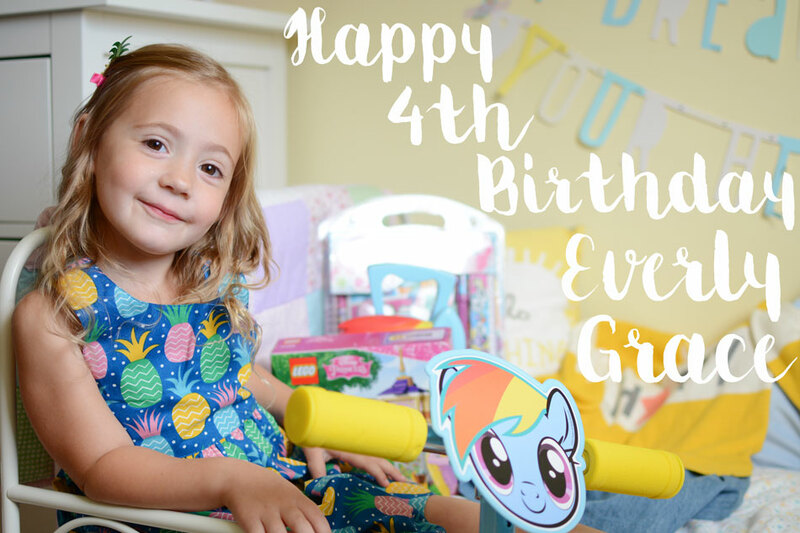 * celebrating our Everly Grace's fourth birthday. * being in Year 1. * exploring the Museum of Science and Industry in Manchester. * having Mummy come in to speak in class about her childhood toys. * the 4d experience at Cadbury World. *going to arts and crafts club at school. * her new birthday dresses. * her My Little Pony scooter. * going back to dancing and phonics class. * waving hello and goodbye to people. * standing up by herself. YOU ARE FOUR!!! Four!?! Four sounds so much more grown up than three somehow I think. Maybe because a three year old is still a little bit toddler, but a four year old is a proper child. You're 100% little girl now. You are so ready to be four. 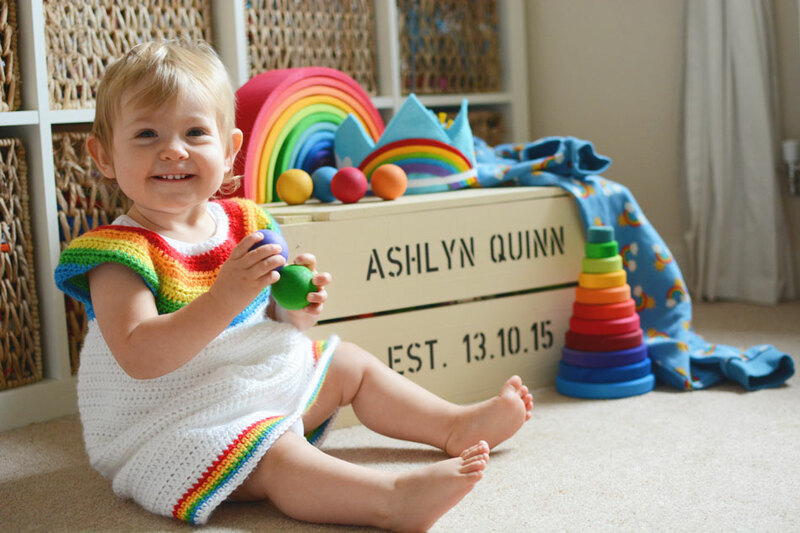 Back in April I shared a gorgeous rainbow dress that we had for Ashlyn from Frugi as part of our role in their Frugi Family. 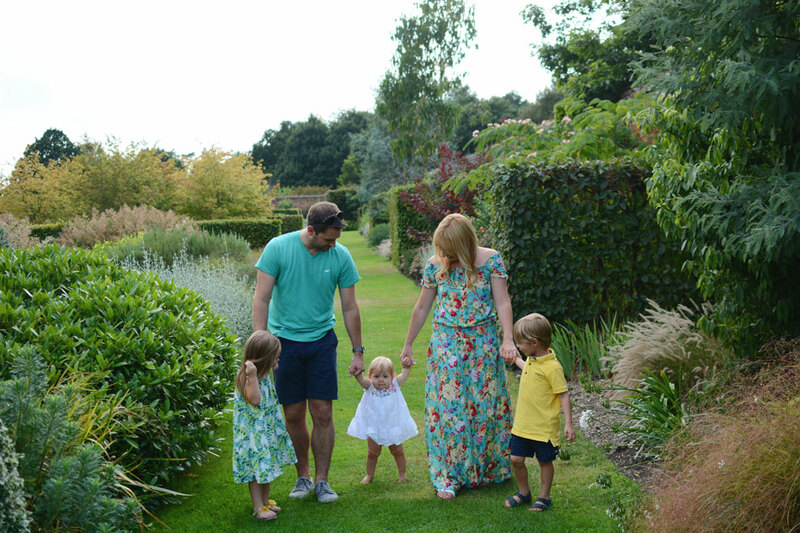 Well we have absolutely loved that dress (and it's still going strong nearly 6 months later!) and Everly especially has always commented on how pretty it is. 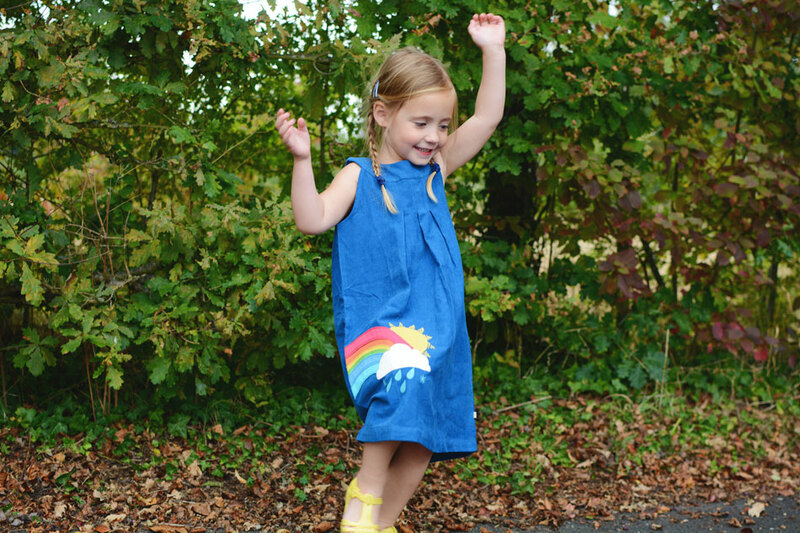 So when we were asked what we would like to review from Frugi's new Autumn Winter collection, I decided it was probably time that my big girl got a beautiful, bright and colourful Frugi dress to call her own. Well I would never have thought in a million years that I'd be sharing photos like this for The Siblings Project in September... June maybe, July and August probably, but September? September is supposed to be Autumn. But the Summer has stuck around a while longer this year... and you won't hear me complaining. 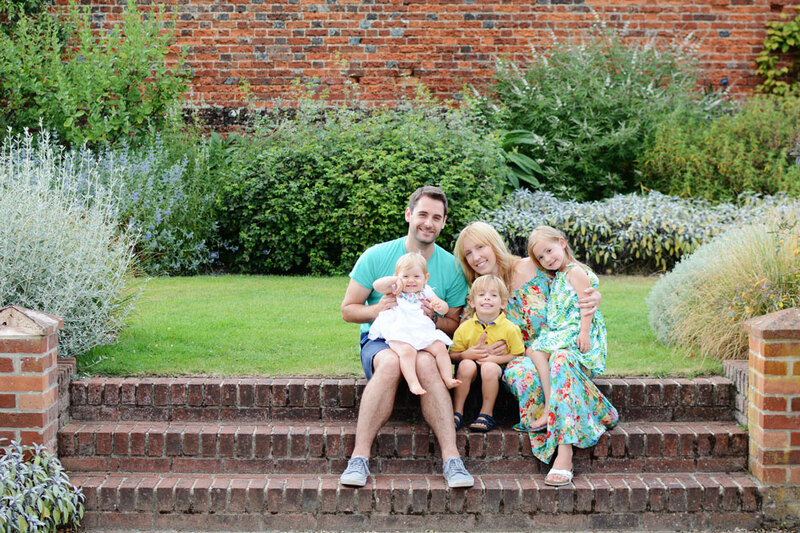 Although it did mean that my original plan for a sibling photo at the park (I was picturing some longer sleeves creeping in, maybe three little trainer clad feet, those first hints of a changing season) well all that basically went out of the window. So yes, these weren't the photos I planned at all. 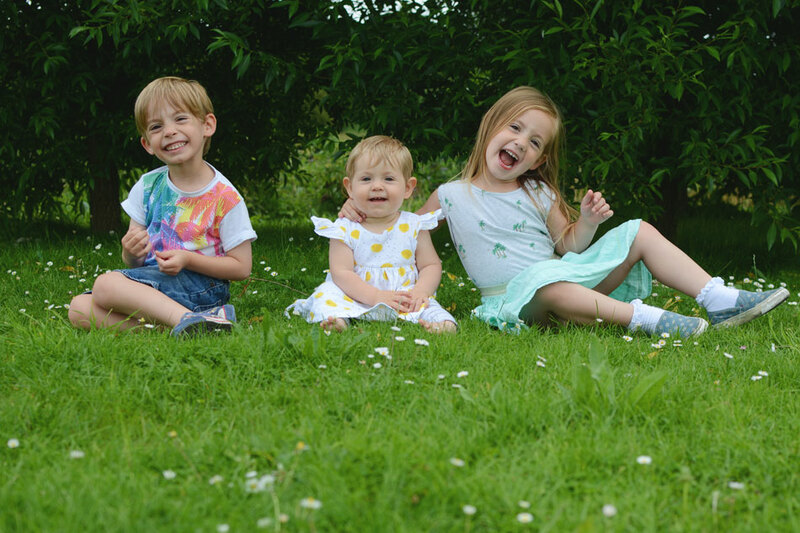 Yes they are in the same location as some last month's sibling photos (we do go to other places I promise!). And they were actually from a little shoot for another blog post that I'm working on (so if you like these photos keep your eyes peeled for lots more coming soon!). 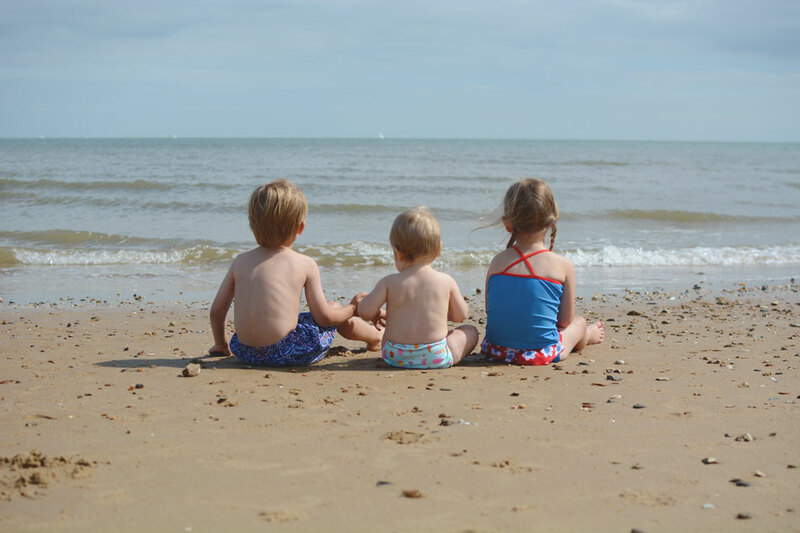 But the simple fact is that we popped to the seaside, the sun was shining, the sea and sky were blue, my kiddies were in matching swimwear and we were in our favourite place. And the result is that I captured these and I quite simply love them. 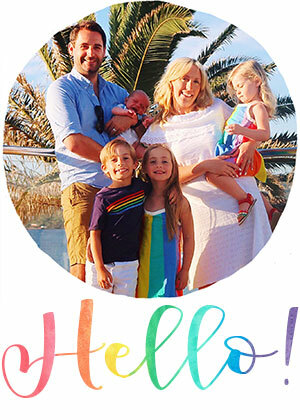 I also feel that a picture of little Quinny standing up between her big brother and sister is pretty apt for this month. Standing is her latest party trick, and my goodness do the other two absolutely love it when she does it. They are going to be completely beside themselves when she actually starts properly walking. They just love seeing her joining in more and becoming more and more like a little play mate to join their gang. And they are such good cheerleaders too; whooping and cheering at her independent standing and encouraging her every step of the way. I'm starting to think that my littlest one is going to walk earlier than the older two did, and I know that their encouragement will have played a big part when she does take those steps. * catching up with an old mate back home. * barbecuing on our weekend at the seaside. 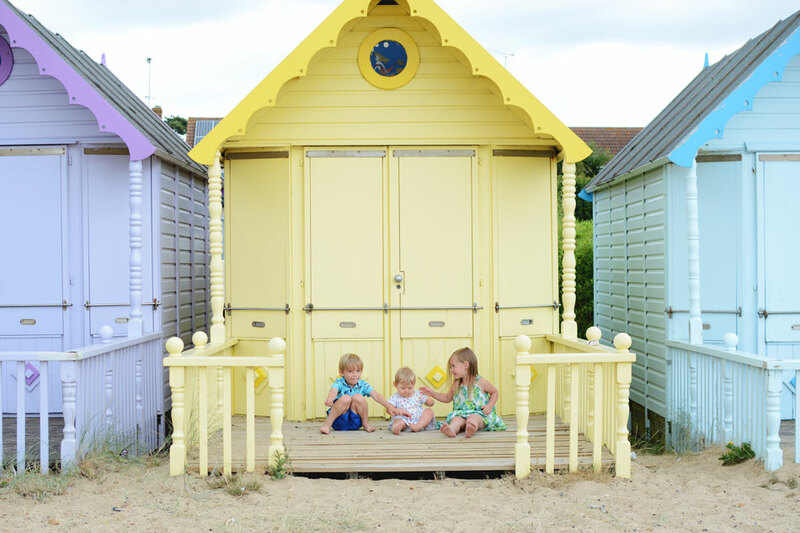 * our beach hut day out. * seeing all the welsh family. 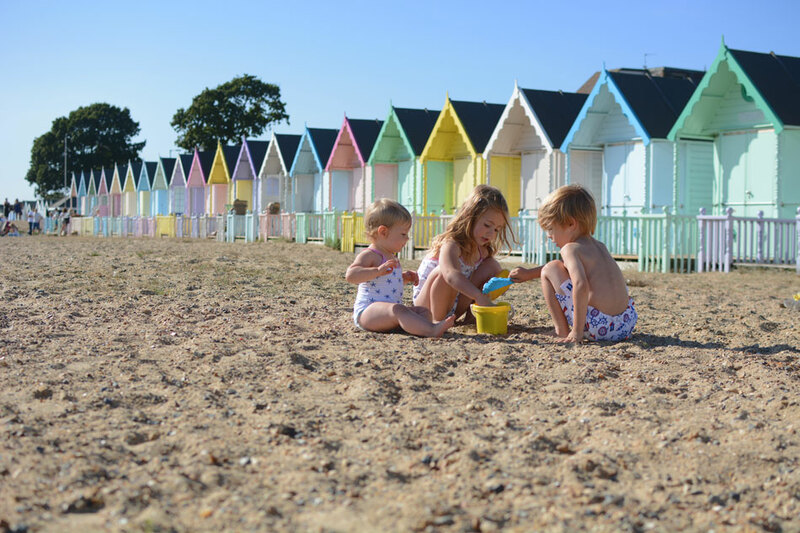 * beach hut days at the seaside. * seeing her baby bro. 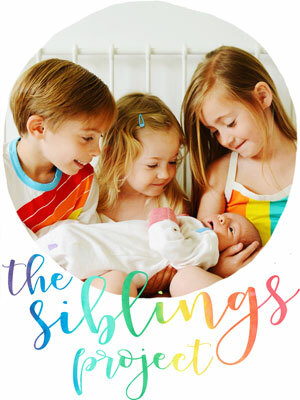 * having all three kiddos together all the time. * going on the Sky Ropes at the country park. * ice creams from the ice cream man. * having monkeys on the car at the safari park. * adventures with Uncle Matt and Auntie Tiff. * My Little Pony blind bags. * singing Disney princess songs. * her new lunch box for preschool. * sleeping the wrong way round in her bed. * days at the seaside. 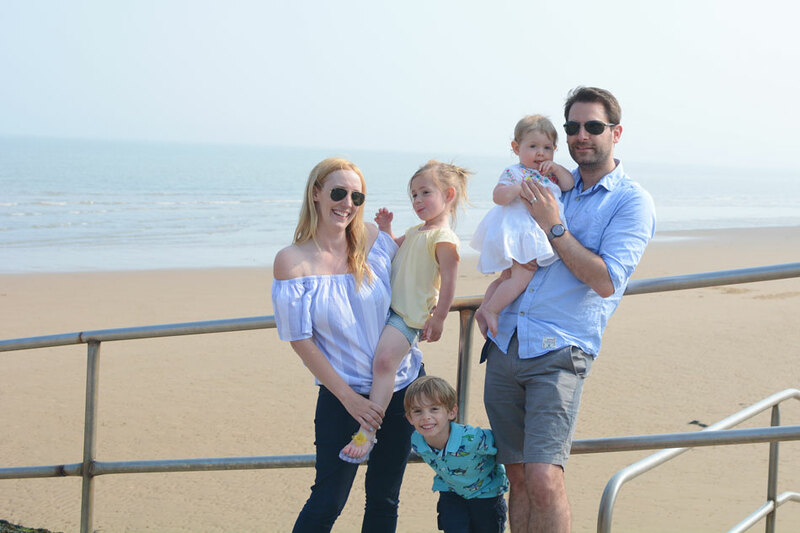 Paultons Park has long been our favourite family theme park in this country, because it offers so much for our young family. 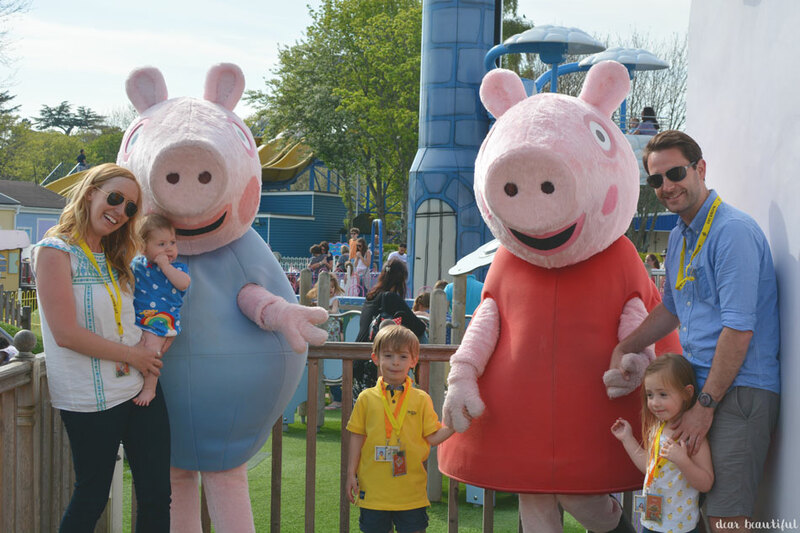 Peppa Pig World is obviously a draw for anyone with a preschooler, and so much of the Paulton's Park theme park as a whole is so accessible for small children which we love; no saying no when they don't reach height requirements, no missing out on rides for the grown ups. With the addition of Lost Kingdom they have widened their appeal again. 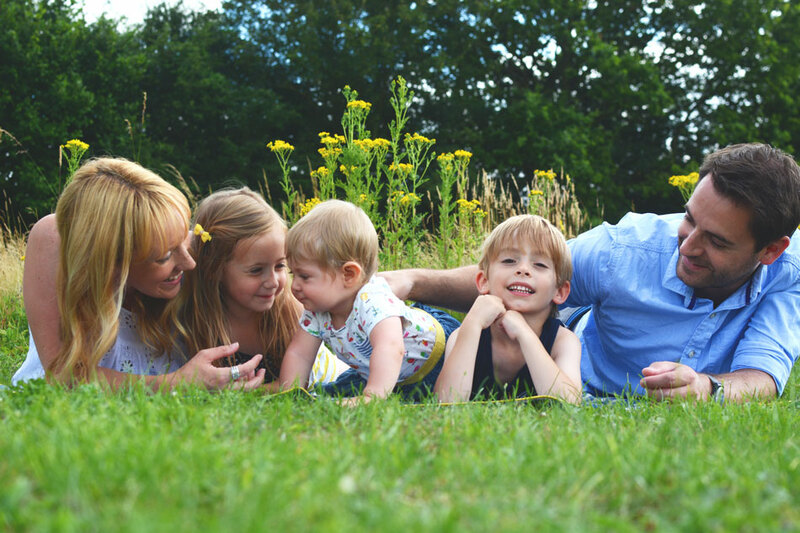 It's perfect for a family who is growing beyond those Peppa Pig years, and I'm sure it will keep people coming back to Paulton's Park for years to come. With some serious looking rollercoasters for the thrill-seekers, but with relatively low height restrictions, meant that our little daredevil Dylan could ride everything in Lost Kingdom... and he did! And at the same time there is still plenty for the whole family to enjoy even down to the youngest members. We were lucky enough to be invited along to a preview day for the new Lost Kingdom, part of the Paulton's Park theme park. This is a little mini movie of our time there. I did think about cutting down the amount of photos for my sibling post this month, because I know there are a lot and I only normally tend to post three of four. But then I figured I wouldn't. Let's be honest, I have tons more than have made it as far as this post as it is, because my trio have been together more and there have been so many fun time to grab a photo of. And because this is a true picture of our August. 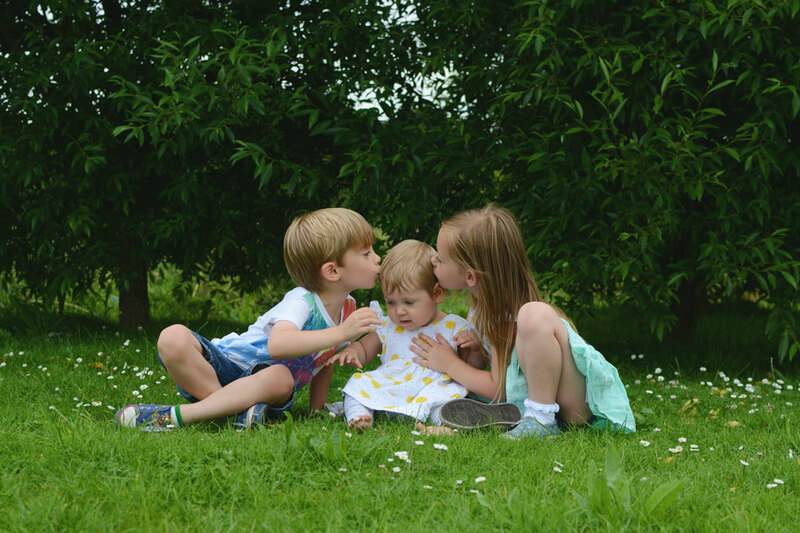 There has been lots of glorious sibling time and lots of lovely memories to show for it. So you'll have to settle for my eight favourites, and know that it took quite a lot of work to cut it down to that many...! I'll confess I was a little apprehensive about the summer holidays. 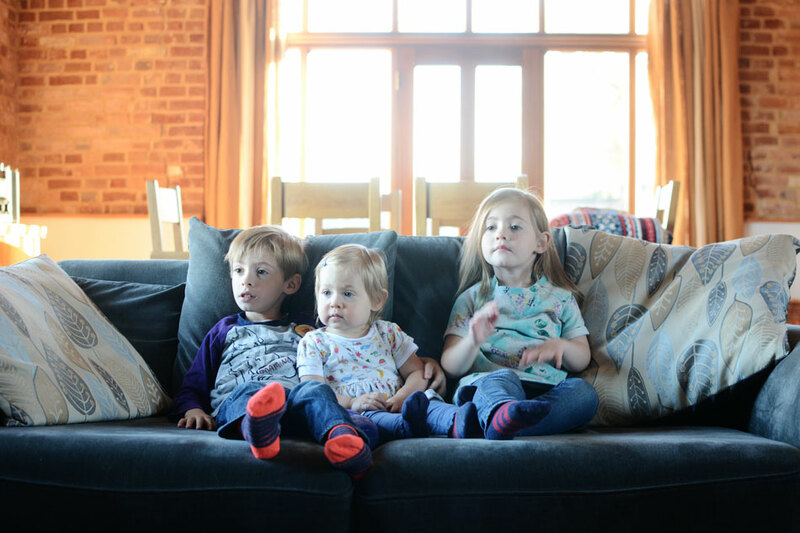 I should point out that mostly I was super excited to have my little trio together all day every day for six weeks, but also... all day, every day, three little people who all know their own minds... it could just as easily be a recipe for disaster. But it hasn't been, at least not so far at the half way mark. So far the summer holidays have been amazing. * watching Preacher on Amazon Prime. * getting to see all of Dylan's school work from this year. * seeing Ashlyn crawling about. * some really good work training in Germany. * having a new phone with 4G. * having all three kiddos home for six weeks. * seeing Quinny getting so mobile. 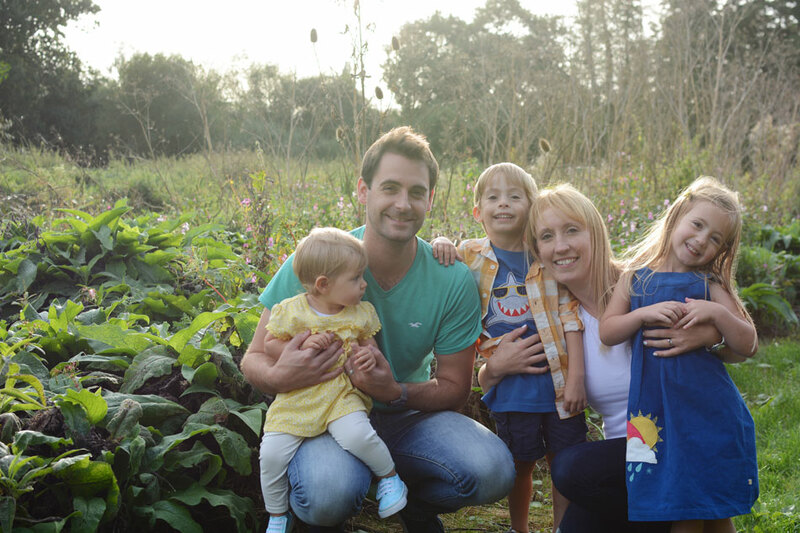 * two amazing end of year reports for Dylan and Everly. * the performing arts festival at Dylan's school. * the fact that we've been married for seven years TODAY! * the school holiday finally being here. * singing songs from his school performing arts festival. * reading his book all about the human body. * swimming in Nanny's hot tub. * collecting My Little Pony blind bags. * her jelly flip flops. * getting Quinny to smile for her. * crawling everywhere and standing up. * food, especially Ella's Kitchen Bangers and Mash. * sleeping in her new cot. * stealing the television remotes. 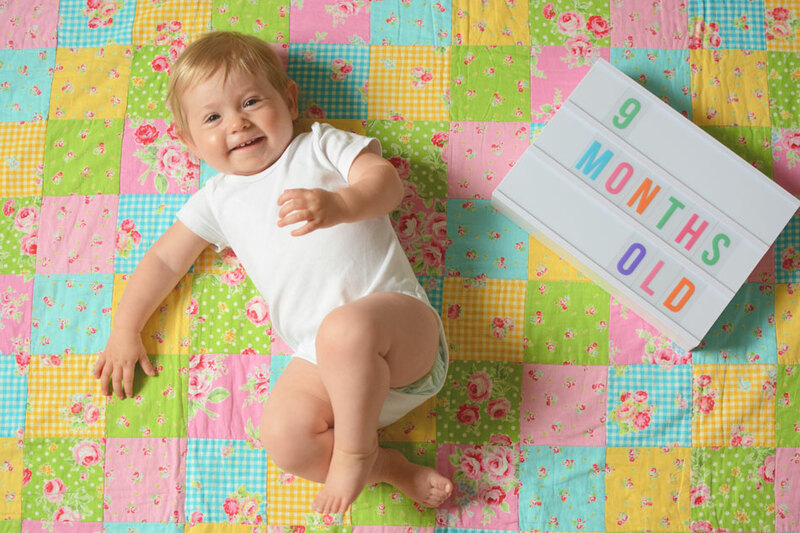 Nine months old...! It's a milestone age I think, a bit like when you turned three months and left the "newborn" days behind, or at six months where you marked half a year; nine months is that point where you have been out in the world as long as you were baking in my tummy. And much like that nine months that I was pregnant with you now seems like a distant memory, this first nine months with you has simply flown by. 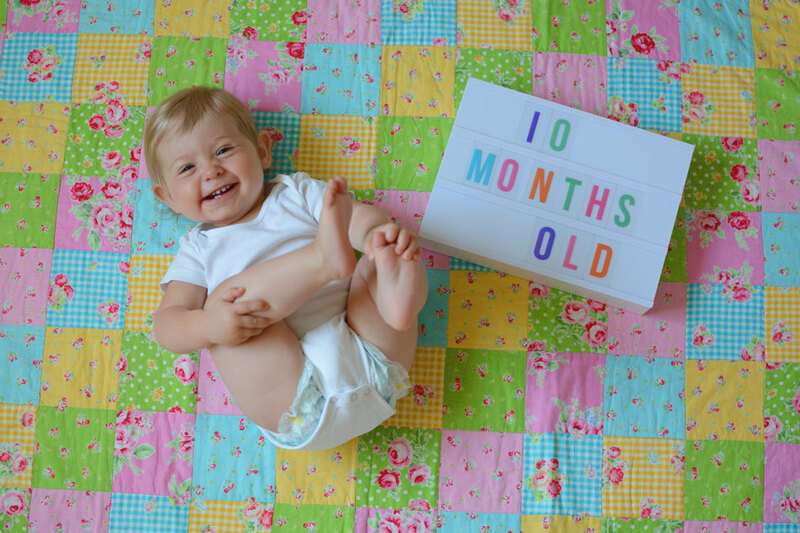 Nine months ago you came crashing into the world, a little bundle of tufty hair and big eyes. We waited for you to totally rock our worlds and turn everything upside down... but you just seamlessly slotted into our family and into our hearts like you were always supposed to be there. Three little people all looking at the camera. All smiling. Not the most inspiring photos ever, but I love them anyway. And did I mention the three smiles AT the camera... I still get an award or something, right? 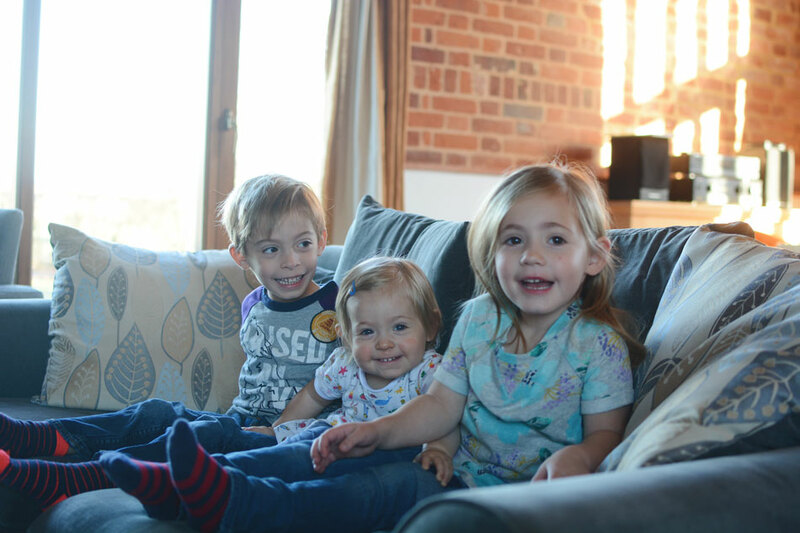 The relationship between these three little cheeky smilers seems to be changing and growing so much at the moment and it's fascinating to watch. As a unit of three they can do more and more together now that Ashlyn is so much more active and upright and generally inquisitive about everything around her. That gap between her as "the little one" and them as "the big two" seems to get smaller each day and they really do feel like a proper little team of three more and more. They seem to have that sense of belonging to one another which is hard to put into words. But they seek each other out, and they love being together as three; as a whole set, and it's clear that it just doesn't seem quite right when one is missing. * watching England v Wales in France. * having fun at Jump Extreme in Bolton. 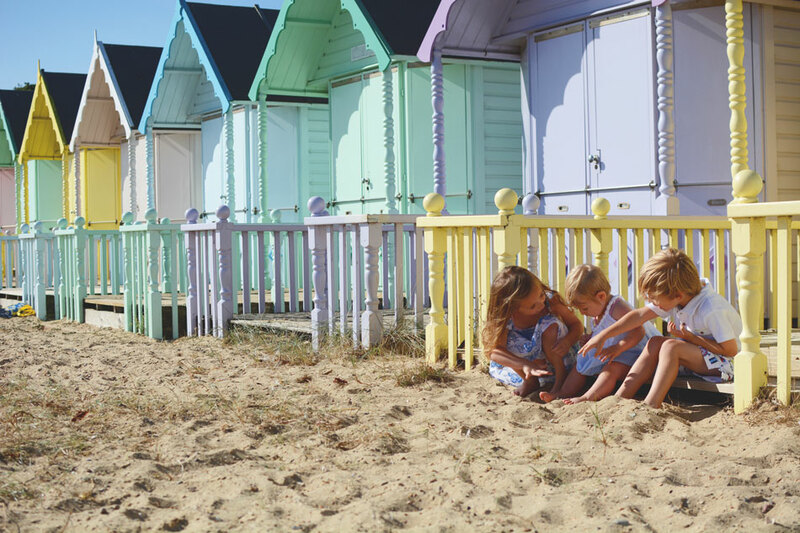 * beach hut fun and the kids on the beach. * seeing Ramsey Bolton's demise on Game of Thrones. * off the shoulder tops and dresses. * Mummy and Quinny adventures in London. 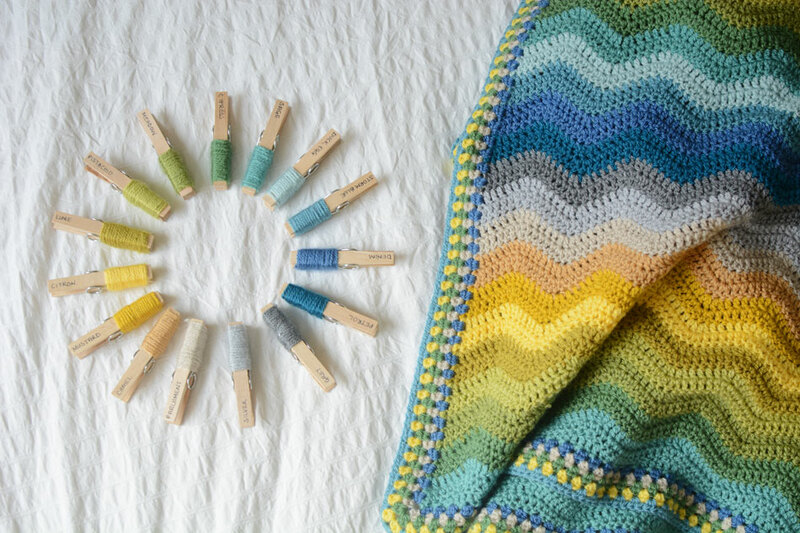 * a nearly finished happy place blanket. * having a weekend together at the seaside. * family picnic at school. 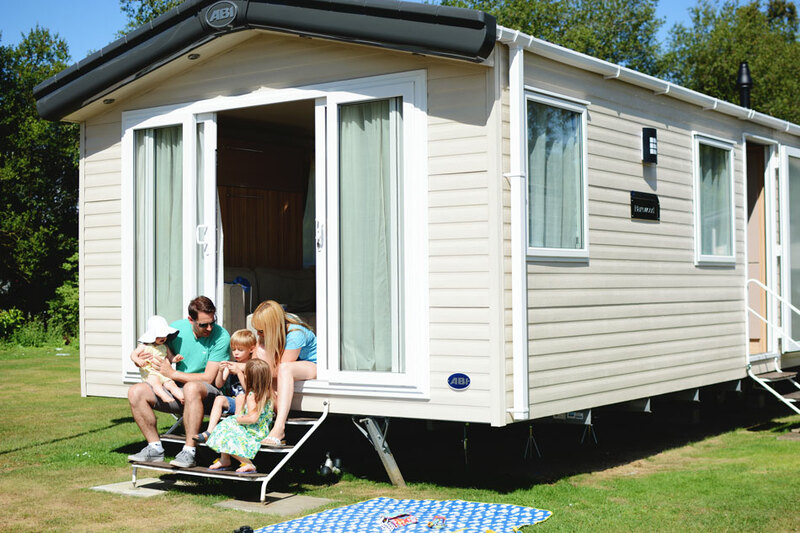 * our weekend at the caravan. * his first sports day. 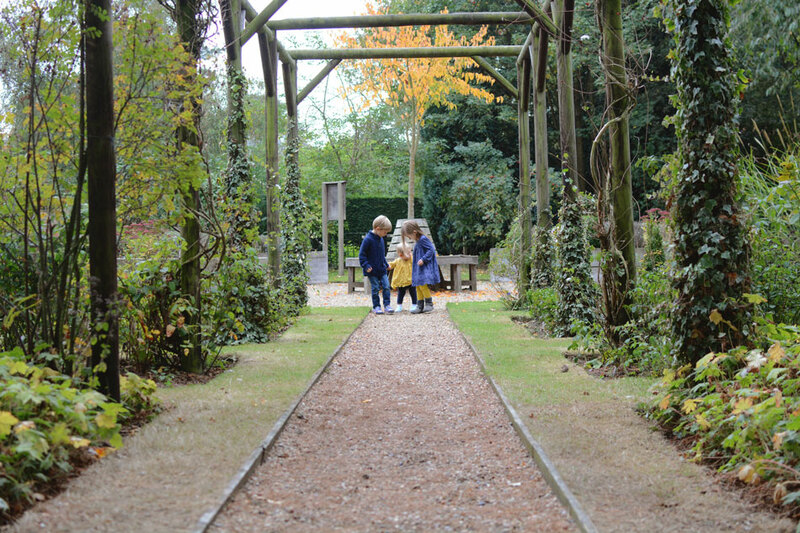 * playing in the maze at Open Farm Day. * the bouncy castle at the family party. * singing and dancing and putting on little performances. * taking Pops to her special Father's Day afternoon at preschool. 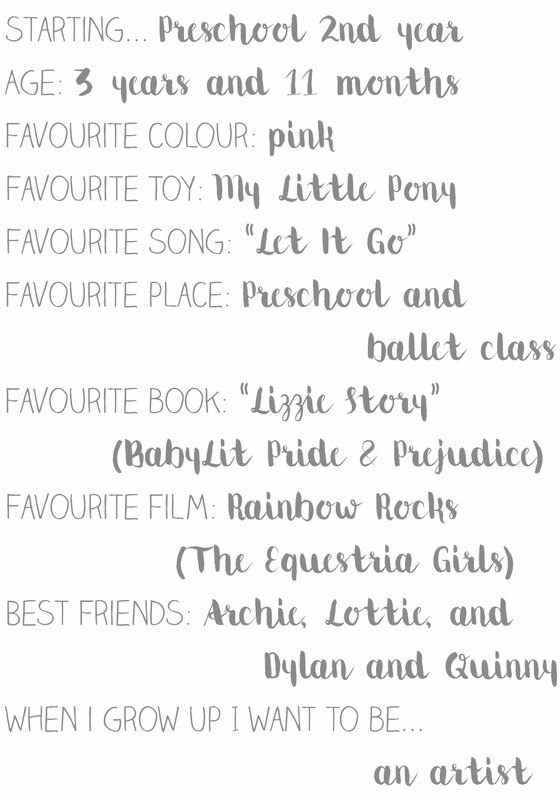 * her phonics classes and practising letter sounds. * her first play in the sand. * eating pink wafer biscuits. * having a first dip in Nanny's hot tub. * making lots of new friends to smile during BML16. * playing with packets of baby wipes. We refer to our Silver Cross Wayfarer Eton Grey as our chariot. And that sums up how we feel about it pretty effectively I'd say. It is a classic, quality and high-end piece of baby kit.